PG&E and Capitalism are Politically Bankrupt Robber Barons! Both Capitalist Organizations, along with the Democratic Party have been a part of the deferred maintenance /deregulation flim-flam! The latest PG&E Company ‘Bankruptcy’ are based upon the costs the California wildfires because of its deferred maintenance policy, that added extra profits to PG&E, while leaving their power lines vulnerable to nature. Based on past practices of the California Public Utilities Commission, the costs will be passed on to the consumers. From: California Power Provider PG&E Files For Bankruptcy In Wake Of Fire Lawsuits: The bankruptcy process says everyone gets paid fairly in accordance with their priority. But if you’re an unsecured creditor — like a fire damage victim — it may mean that what comes out of the bankruptcy process may not mean 100 cents on the dollar in terms of full recovery.” It would likely then fall to the state legislature — and, by extension, taxpayers and ratepayers — to fill any gap and make fire victims whole. . . . The advocacy group The Utility Reform Network voiced concern that ratepayers will be forced to pick up some of the costs of the company’s reorganization. “The message to customers is really bad here. It’s that we’re more concerned with our shareholders than we are with our customers,” said communications director Mindy Spatt. Below are some of the articles about PG&E that I have written since the the San Bruno PG&E Pile Explosion in 2010. 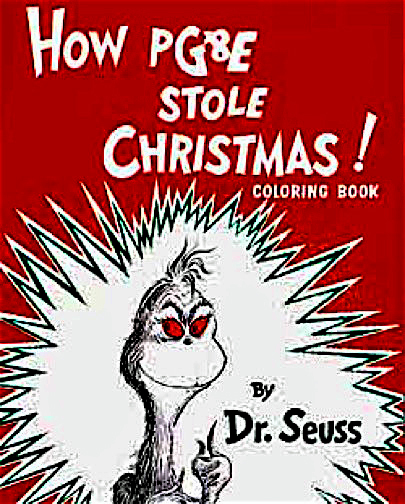 The California Public Utilities Commission just handed Pacific Gas and Electric Co. an awfully nice present for Christmas. Following the 2010 San Bruno pipeline explosion that killed eight people, PG&E has to upgrade its natural-gas pipelines, at a cost of more than $1 billion. Shockingly, the electric company wanted its customers to pay for 84 percent of that cost, even though an administrative law judge has said that PG&E mismanagement had allowed the pipelines to deteriorate. The commission decided that customers shouldn’t pay for all of the cost – just 65 percent of it. PG&E’s residential customers will pay, on average, an extra 88 cents per month next year and $1.36 more in 2014. That’s on top of whatever rate increases the commission may approve for PG&E in the years to come. In October, state administrative law judge Maribeth Bushey suggested that customers should have to pay for a substantial percentage of the cost of repairs – but she also said that the PUC should cut PG&E’s legally guaranteed rate of return – for which it bills its customers – for safety spending for the next five years. She cited PG&E’s “long-standing avoidance of sound, safety engineering-based decision-making in favor of financially motivated nominal regulatory compliance.” Bushey’s plan wasn’t ideal — PG&E should have to pay for the full cost of replacing the gas lines it’s neglected for decades – but at least it was a fair division that included a necessary penalty for PG&E’s neglect. The ever-deferential PUC decided that PG&E didn’t need that punishment. So PG&E will be allowed to demand most of the repair money from customers, and it won’t see any drop in profits as a result of the need to clean up the mess from years of negligence. San Bruno officials are rightly furious. Even though the exact pipe that exploded in San Bruno won’t be included in the customer payment settlement, leaders of the city devastated by the disaster consider it an insult that customers have to pay for PG&E’s systemic neglect. The rest of us should, too. PG&E Update: Is A Pattern Of Deferred Maintenance Putting Customers At Risk? …workpapers submitted to the California Public Utilities Commission (CPUC) by PG&E in 2007 indicating that the cost of repairs for a section of natural gas pipeline within miles of the San Bruno explosion were included in rates as of 2009, although the work has not yet been done. The section of pipe in South San Francisco had been identified as high risk. PG&E’s failure to complete the fix highlights growing concern about whether a pattern of deferred maintenance is putting customers at risk. PG&E’s Risk Management program, according to Turn, had rated the repairs of miles 42.13-43.55 on pipeline L132 as a high priority and were scheduled for replacement in 2009 in workpapers submitted in 2007. Yet for unexplained reasons the work was never done. Deferred Maintenance Putting Customers At Risk? A business owner or executive who acquires wealth through ethically questionable tactics. In 1996, in a unanimous bipartisan vote, the California politicians, amply funded by the energy cartels, “deregulated” the power industry. Immediately after deregulation was passed, the energy cartels formed “parent corporations,” which acquired most of the assets of the former companies. For example PG&E Company became part of PG&E Corporation and the President and Chief Operating Officer of PG&E Company became the President and Chief Operating Officer of PG&E Corporation—with tens of billions in revenues. PG&E Corporation markets energy services and products throughout North America through its National Energy Group and owns Pacific Venture Capital, LLC. This restructuring freed most of the PG&E Company assets from regulation. Thus freed, the energy cartels have reverted to their natural “Robber Baron” instincts. And so has Governor Gray Davis and the state legislature . The governor and the legislature have worked out a scheme to give these robber barons billions in tax dollars for a bailout, while at the same time imposing a 40percent rate hike on consumers! Those who are gouged the most, and who can afford it the least, the working people of California, are literally being extorted by the energy monopolies with the active collusion of the state government. After PG&E blackmailed and tortured the public with intermittent blackouts, the California Public Utilities Commission (PUC) approved a 40 percent increase in monthly utility bills to feed the insatiable drive for profits by the energy cartels. The decision by the PUC was against the recommendations of the PUC Administrative Law Judge Walwyn. In his 75 -page decision, he properly noted that: “Since April 1998, ratepayers have paid billions of dollars in excess of market costs to support recovery of utility transition costs.” These rate increases did not satisfy the wants of the energy cartels. 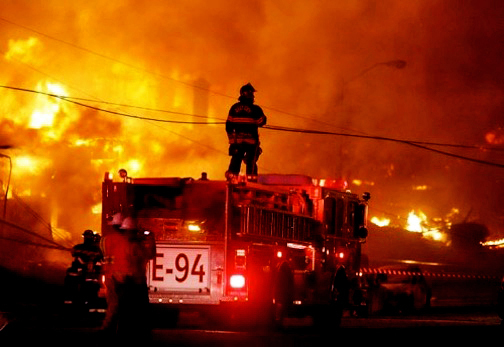 Since deregulation, over $40 billion dollars in profits and other assets have been transferred to PG&E Corporation. Yet, on April 6, the PG&E Company filed for bankruptcy! Claiming that it cannot pay its debts to its parent corporation, totaling $9 billion dollars, this is nothing more than another power play by the corporation for further bailouts and rate increases. Everyone in California knows there is no real power shortage. The real reason for the rolling blackouts is that the energy companies are refusing to send power unless they can charge the maximum price the market will bear. Thanks to the state government’s open collaboration with the robber barons, the end result for working people will be fewer public funds for schools, hospitals and other needed programs because the money will have gone to the great energy give-away. It’s time to stop the robber barons! No Bailouts, No Rate Increases! Reduce the rates to pre-crisis levels. The companies that created this crisis must not profit from it! End regressive power rates— whereby the rich and the corporations pay less for power! Since energy has become essential for everyday living, everyone has a right to power! Rates should be progressive and be based on income with no charge for households with less than $50,000 per year income! Make the Robber Barons pay back what they stole. Tax their profits 100%! Power for use—not for Profit! Open the booksof all companies that supply or sell energy to California. The people of California have a right to know how they are being ripped off! State Take-Over of Electricity. The State of California must utilize eminent domain powers to seize ALL privately-owned energy generation plants and distribution grids and run them as a Public Power Authority to insure a steady power supply. (This means seizing the assets of the power companies and corporations!) The $40 billion that the energy companies have ALREADY stolen is more than enough compensation. Democratic Control of the State Power Authority. The new State Power Authority must be run by representatives democratically elected by power workers and the public. The capitalist politicians have betrayed us in this crisis. The only solution is direct democratic control; that is, control by the workers who produce the power and the entire working class are the ones who should be running the power system. We urge trade unions and community organizations to adopt resolutions embodying the basic points advocated here. In California, we will work together with anyone fighting this blackmail to arrive at a common set of demands that unites all working people and serves notice to the energymonopolies and the government that we refused to be ripped-off.